Most people would be familiar with granites (figure 1) because they are a popular rock used for bench tops in many home kitchens. Their colourful interlocking crystals give them an aura of intrigue and elegance. As well as glassy, pink and cream crystals, granites are often sprinkled with flakes of a black, shiny mineral called biotite. 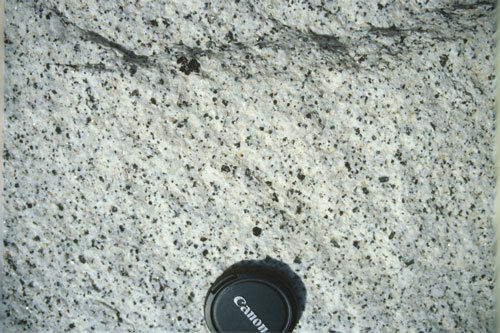 Figure 1a : Typical granite. 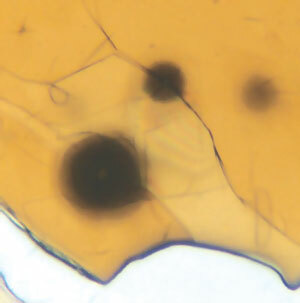 The black crystals are biotite flakes. 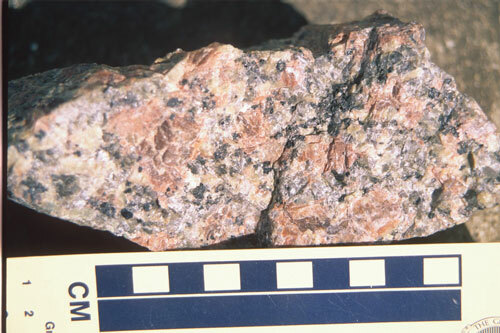 Figure 1b: Another typical granite. To the unaided eye, the flat surfaces of biotite flakes look polished and smooth, but under the microscope they often can be seen to contain tiny crystals of other minerals, particularly zircon. Even more fascinating, such zircon crystals are typically surrounded by halos of dark, coloured rings. Resembling minuscule archery targets, these halos represent a fascinating story about the age of the earth. 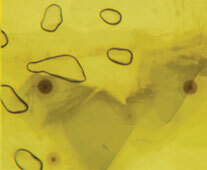 It is known that the halos are formed by radioactive uranium inside the zircons.1,2 The radioactivity damages the biotite and changes its colour (figure 2). That’s why the spherical halos are called ‘radiohalos’ (short for radioactive halos), and their centres are called ‘radiocentres’. Furthermore, there is a simple reason why uranium halos have many rings. It’s that uranium decays in a series of steps, eight of which produce rings (figures 3 and 4). At today’s measured rates of radioactive decay, it has been estimated that uranium would have to decay for 100 million years to produce the uranium halos.3 That is at today’s decay rates. 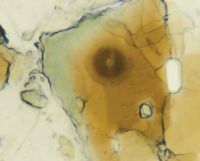 Alongside the uranium halos within granites, there is powerful evidence that uranium once decayed much faster during a global geological catastrophe! Let’s see that evidence. The last three rings of a uranium halo are produced by an element called polonium. Marie Curie (with her husband, Pierre) discovered it in 1898 and named it after her homeland, Poland. One of the important features of radioactive polonium is that it decays rapidly and thus is rarely found in nature. However, it is continually gener­ated when uranium decays, and so radio­active polonium is always associated with uranium. Figure 3: (a) A fully developed uranium radiohalo with all eight rings present. Its diameter is approximately 68 microns (a micron is a thousandth of a millimeter). 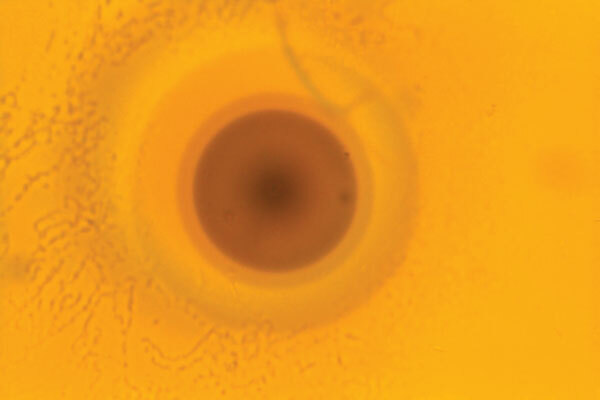 Figure 3: (b) An over-developed dark uranium radiohalo in which there has been so much radiation damage that the distinct inner rings have been blurred. 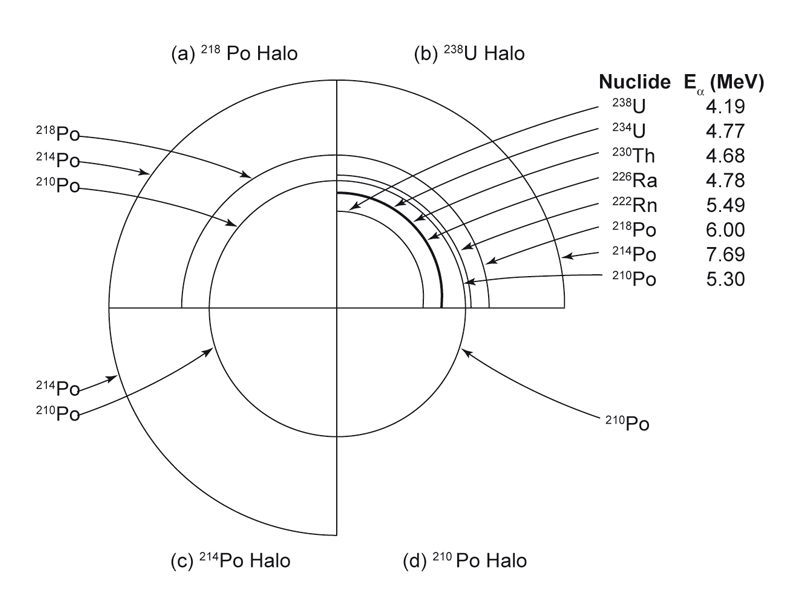 Figure 4: Composite schematic drawing of the radiation rings in (a) a polonium-218 radiohalo (three rings), (b) a uranium radiohalo (eight rings), (c)a polonium-214 radiohalo (two rings), and (d) a polonium-210 radiohalo (one ring). The different radiation energies (E) are listed. Figure 5: (a) A fully developed polonium-218 radiohalo with three rings clearly visible. 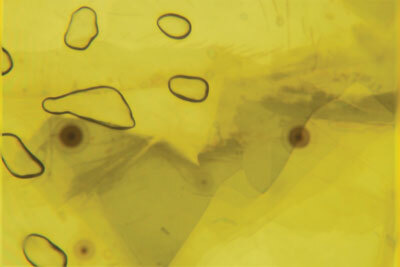 Figure 5: (b) Fully developed polonium-218 radiohalos with three rings clearly visible. Furthermore, what does the existence of these polonium halos mean? Because polonium has such a fleeting existence, the polonium halos must have formed very rapidly, in only hours or days!7 So there had to be a source of abundant polonium close by to create the radiocentres. Otherwise the polonium halos would not have formed. 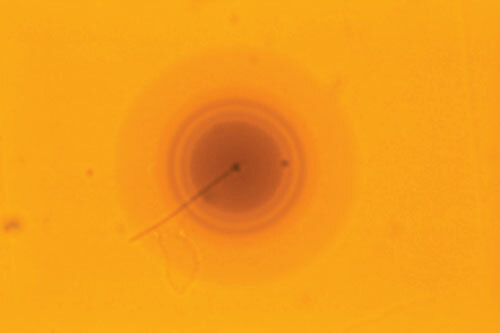 Figure 6: A fully developed polonium-214 radiohalo with two rings, the outer ring not being so visible. Figure 7: A group of very clear single-ring polonium-210 radiohalos. Their diameters are approximately 39 microns. Figure 8: Several dark polonium-210 radiohalos close to two dark uranium radiohalos. 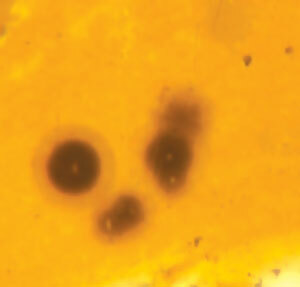 Figure 9: Overlapping dark polonium-210 and uranium radiohalos. 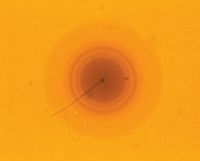 Figure 10: A polonium-214 radiohalo (with a faint outer ring) centered on a crack and a dark uranium radiohalo nearby. Many of the polonium halos have uranium halos right next to them, often less than one millimetre away (figures 8–10). As the uranium in the centres of the uranium halos decayed and produced the halo rings, it also generated polonium. Hot water flowing inside the cooling granite was able to carry the polonium short distances and concentrate it into new radiocentres. 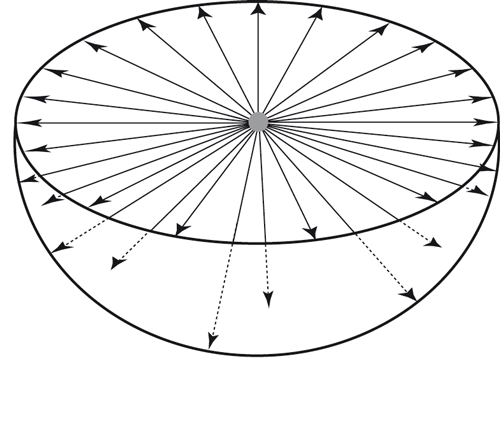 These formed the polonium halos (figure 11). The implications are astounding. First, the polonium halos required an abundant supply of polonium, in fact, an amount equivalent to 100 million years of radioactive decay of uranium, at today’s rates. However, all this polonium had to be available quickly, before it could decay away. That is, it all had to concentrate within hours, or a few days at the most. Therefore, the polonium halos mean that 100 million years of radioactive decay of uranium (at today’s rates) occurred in just a few days! In other words, the radioactive decay of uranium was formerly up to a billion times faster than it is today! Second, if uranium decayed at such a super-fast rate, the other radioactive elements decayed much faster too. 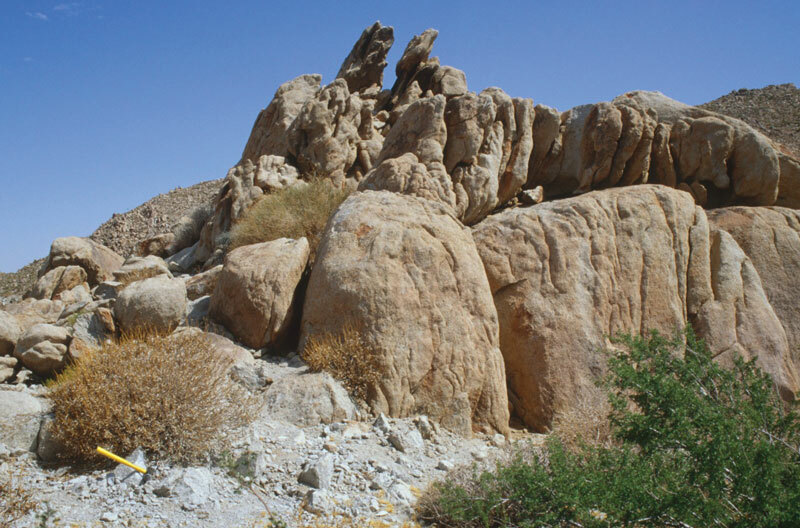 However, the radioactive methods used to ‘date’ rocks as billions of years old assume that radioactive decay rates have always been the same as what we measure today. Thus, the polonium halos are solid evidence that rocks ‘dated’ at billions of years old by the radioactive methods are in fact only a few thousand years old! Third, the radiohalos can only form after the granites hosting them have solidified and cooled.8 So the radioactive decay of uranium, which generated the polonium, had to commence as soon as the granites started to solidify, and continue until the polonium halos had formed. 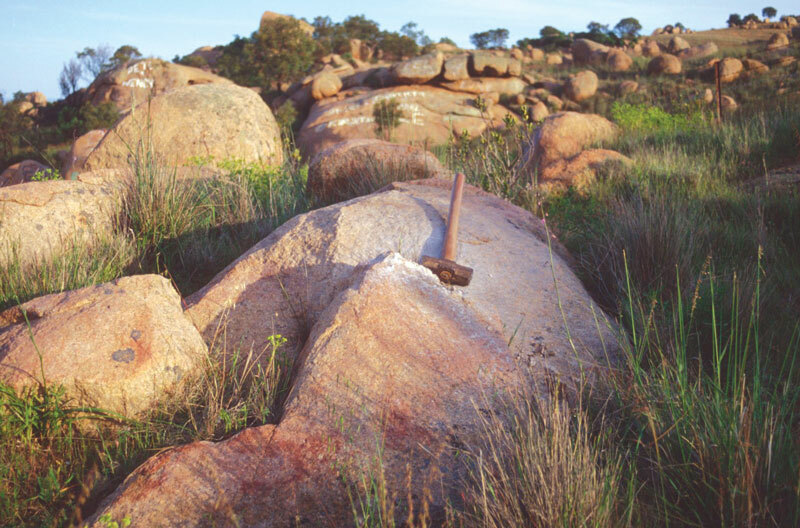 It is usually claimed that granites take millions of years to solid­ify and cool. However, if that were true, there would be no polonium halos in the granites today. In such a long time, all the uranium and polonium would have decayed away. 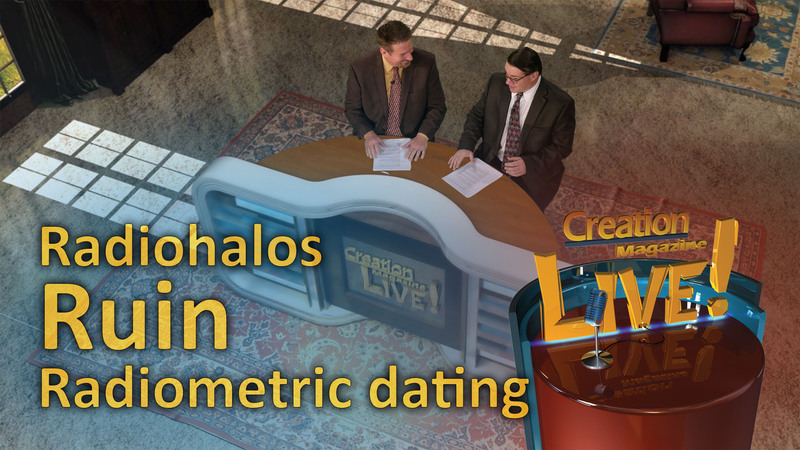 Therefore, polonium halos mean that the granites solidified and cooled in just 6 to 10 days! 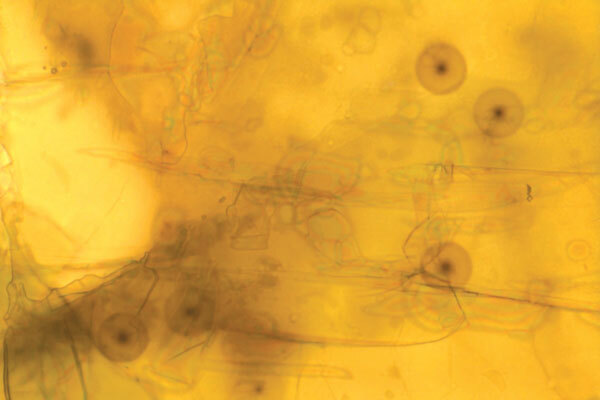 Uranium and polonium radio­halos thus provide startling evidence of catas­trophic geological processes on a young earth. During the year-long Flood (about 4,500 years ago) sediments were eroded and deposited catastrophically on a global scale. The catastrophe buried vast graveyards of plants and animals, producing fossil-bearing rock layers all over the earth. Rapid earth movements pushed up mountains,9 and formed granite bodies quickly. Inside these granites, super-fast radioactive decay generated uranium and polonium radiohalos. These are so microscopic they could be easily overlooked.4 But their presence in abundance in granites all around the world cannot be ignored.10 They are exciting confirmation that the earth and its rocks are not millions and billions of years old as usually claimed, but only about 6,000 years, as God’s Word plainly declares in the historical narratives in Genesis. Gentry, R.V., Radioactive halos, Annual Review of Nuclear Science 23:347–362, 1973. Return to text. Snelling, A.A., Radiohalos, in: Vardiman, L., Snelling, A.A. and Chaffin, E.F. (Eds), Radioisotopes and the Age of the Earth: A Young-Earth Creationist Research Initiative, Institute for Creation Research, California, and Creation Research Society, Missouri, pp. 381–468, 2000. Return to text. Humphreys, D.R., Accelerated nuclear decay: a viable hypothesis? in: Vardiman, L., Snelling, A.A. and Chaffin, E.F. (Eds), Radioisotopes and the Age of the Earth: A Young-Earth Creationist Research Initiative, Institute for Creation Research, California, and Creation Research Society, Missouri, pp. 333–379, 2000. Return to text. Dr G. Brent Dalrymple, then Deputy Director of the U.S. Geological Survey and more recently at the Berkeley Geochronology Center at the University of California Berkeley, dismissed the polonium radiohalos as ‘a very tiny mystery’ while on the witness stand at the 1981 Arkansas ‘Creation Trial’, as reported by: Gentry, R.V., Creation’s Tiny Mystery, Earth Science Associates, Tennessee, p. 122, 1988. Return to text. Gentry, R.V., Christy, S.S., McLaughlin, J.F. and McHugh, J.A., Ion microprobe confirmation of Pb isotope ratios and search for isomer precursors in polonium radiohalos, Nature 244(5414):282–283, 1973. Return to text. Gentry, R.V., Radiohalos in a radiochronological and cosmological perspective, Science 184(4132):62–66, 1974. Return to text. Snelling, A.A., Radiohalos in granites: evidence for accelerated nuclear decay, in: Vardiman, L., Snelling, A.A. and Chaffin, E.F. (Eds), Radioisotopes and the Age of the Earth: Results of a Young-Earth Creationist Research Initiative, Institute for Creation Research, California, and Creation Research Society, Missouri, pp. 101–207, 2005. Return to text. 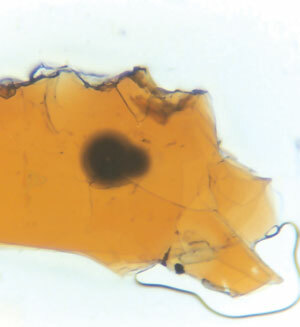 Laney, R. and Laughlin, A.W., Natural annealing of the pleochroic haloes in biotite samples from deep drill holes, Fenton Hill, New Mexico, Geophysical Research Letters 8(5):501–504, 1981. Return to text. Baumgardner, J.R., Catastrophic plate tectonics: the physics behind the Genesis Flood, in: Ivey, R.L. Jr. (Ed. ), Proceedings of the Fifth International Conference on Creationism, Creation Science Fellowship, Pennsylvania, pp. 113–126, 2003. Return to text. Ref. 7. 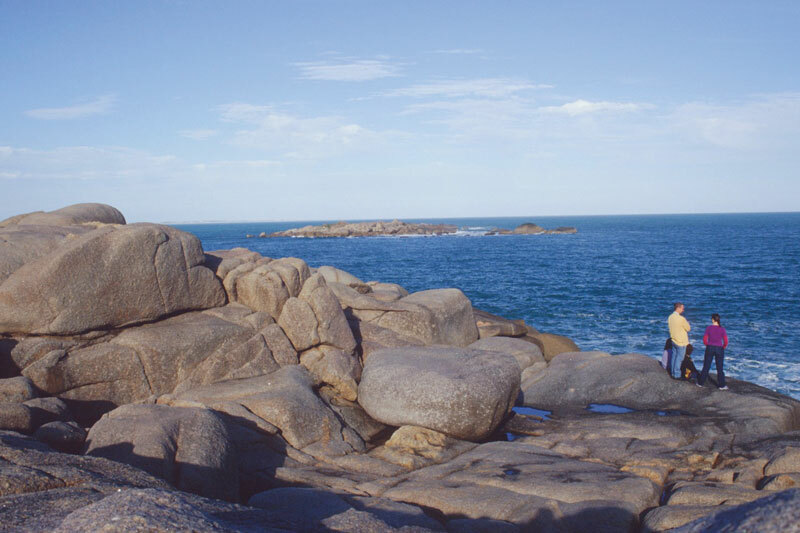 Some granites have uranium and polonium radiohalos in every biotite flake in them—for example, the Land’s End Granite of Cornwall, England, and the Strathbogie Granite of Victoria, Australia. Return to text.